There will likely come a time when you need a towing service. Maybe your car breaks down on the highway or you run out of gas eight miles from home. When you run into a vehicle-related obstacle on the road, a tow truck company can help. 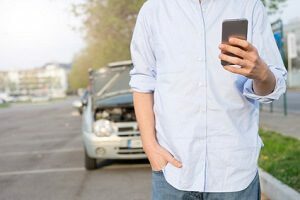 Here’s a look at some of the most common reasons you may need to contact a local towing company. You never expect to be involved in a car accident but when the time comes you want to be prepared. If your vehicle is totaled or undrivable, a towing service is required to safely move it off the road to avoid holding up traffic. The last thing you want to do is call multiple towing companies in the aftermath of a car accident. Having a reliable tow truck company on speed dial can ensure fast and efficient service. Vehicles can be unreliable, especially if your car is old or has failing parts. Whether your engine is overheating or your transmission stops, a breakdown is a common reason to call a towing service. No matter what is wrong with your vehicle, a tow truck company can quickly transport your vehicle to the nearest garage or other destination. Running out of gas can happen to anyone. Maybe you weren’t pay attention to your dashboard or perhaps the nearest gas station was closed, leaving you without gas and nowhere to go. If your vehicle runs out of gas away from home, a towing service can help you out. When you contact your local tow truck company for fuel, a technician will drive to your location with enough gas to get you to the nearest open gas station. You don’t want to drive on a flat tire as this can cause extensive damage to your vehicle. Instead, pull over to the side of the road and contact a trusted towing service. A tow truck driver can drive to your location within the hour to replace your flat tire or bring your vehicle to the nearest tire repair shop. Even if you do not have an extra tire in your car a tow truck driver may be able to bring a spare for you. 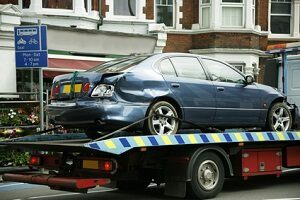 There are a number of emergency situations that may require help from a professional towing service. For example, during the rainy season it’s not unheard of for vehicles to become stuck in the mud or sand. For these situations, a specialty tow truck is needed to safely pull the vehicle out of the muck and back onto the clear roadway. Without the help of a tow truck company, you are forced to jump into the mud and try to push your vehicle out which can be highly challenging. A tow truck driver can be your hero when dealing with a difficult situation on the road. Be sure that you’re prepared for whatever situation awaits you by keeping a reliable towing service in your list of emergency contacts.